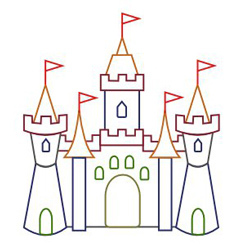 At Kid’s Kingdom, our mission is to provide a fun filled environment of learning for all age groups. We promise to encourage your child to grow through the education we will provide to them, and encourage them to always use their manners, and to have an open mind to absorb all materials given to them to use in their future. At Kid’s Kingdom, we will provide learning tools in a fun, but effective way so that the children will understand how important it is. We understand that every child is different, and although every child will be treated equally, we will focus on each child’s individual needs and help them in a way we can to continually grow. Because all of us at Kid’s Kingdom love children, we make sure our childcare staff is among the very best! Our childcare staff is involved with extensive ongoing training in childhood development. Our childcare professionals are CPR and First Aid Certified. We ensure that your child will enjoy a safe, educational, fun and a great home-away-from-home experience!